For those of you following the Tour in Tune blog who don’t know about Bell Pepper Jam, here’s a brief introduction. Before leaving London on our extended bicycle touring adventures, Lars and I were involved in a five piece acoustic band. We managed to record a studio album just in time before we left. Now the album has been mixed and released and we are very excited to share it with the world! After a few years of performing solo on the London acoustic scene, I realised that my songs could do with more complex arrangements and a better guitarist! That is how Bell Pepper Jam was born in 2011. I recruited Lars on cajon, percussion and backing vocals and Lars nominated Ben on guitar who kindly give my fingers a break. 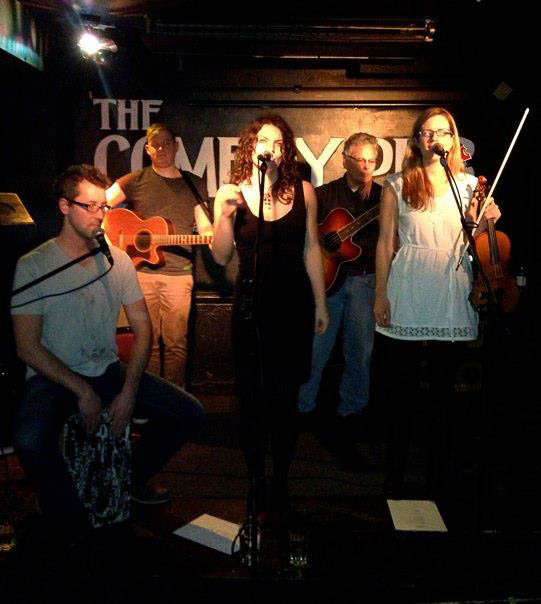 Our housemate Abi joined on violin and backing vocals. To complete the quintet, we sought out a bass player. After posting an ad on Gumtree, we made the serendipitous discovery of bass player and producer/engineer Dennis Weinreich. Together, Bell Pepper Jam began weekly dinner dates and rehearsals in our Highbury, London basement. Over the course of the next six months, we enjoyed great food and laughs whilst developing a unique new sound recently referred to as ‘Juicy Acoustic Soul’. In December 2012, to the surprise of our fellow Peppers, Lars and I announced our plans to travel long term through Latin America. Although this meant a hiatus for band, it was a great excuse to get into the studio to capture the Bell Pepper Jam sound. 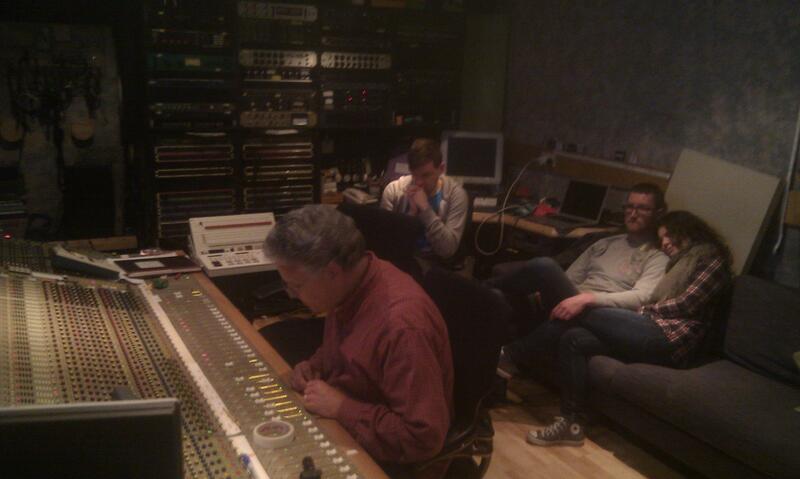 Thanks to Dennis’ extensive friend network, we scored some valuable studio time at The Smokehouse Studios, E1, London. All recordings were engineered by Nuno Filipe Fernandes at Smokehouse Studios and mixed by Dennis Weinreich at his home studio in Highgate, London. Many thanks to Simone Rohler for the band artwork and logos. Thanks also goes to the Weinreich family and ‘Mews Crew’ for hosting our many rehearsal dinners and all of our fans for their continued support! 8 Responses to "Bell Pepper Jam Album Launch"
We are going to do more or less the same trip as you, but starting in Costa Rica and and going to Mexico. And I just bought your album, pretty cool as well! Nice work you guys! Ashlee and I just listened to it again. I hadn’t heard the grizzly bear cover. That was a fun surprise. I have you stuck in my head (in a good way)! Yaaay, glad you had a listen! Congrats on finding your new place and for lining up the new gigs! We are in a hotel until Friday morning, so maybe a Skype session is in order!